Portugal has emerged as a candidate to stage the vacant twentieth race date on the 2013 calendar, and France is also in the running. That's what Bernie Ecclestone said in an interview with Austria's Salzburger Nachrichten newspaper. Asked about the mid-season and so far unnamed 20th race set aside for a European venue, and also the uncertainty surrounding the venue for the German grand prix, the F1 chief executive admitted: "Frankly, I don't know. "For the free date, there is interest from France and now also Portugal with the new Algarve track," he said. "For the German grand prix, it's still open," he said, amid reports either the Nurburgring or Hockenheim could end up hosting the early July event. 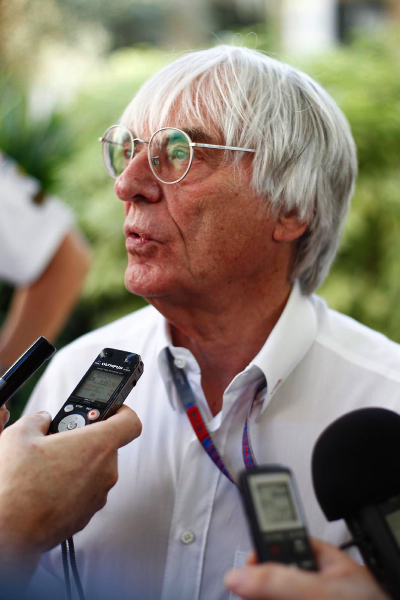 Asked if Austria's Red Bull Ring has a chance, Ecclestone answered: "I am glad to be here (holidaying in Austria). But we have too many races in Europe." Turning his attention to F1's 2013 season, the 82-year-old insisted there is "no reason" why Vettel cannot continue to chase Michael Schumacher's record by winning a fourth consecutive title this year. He added: "I expect much more from Mercedes with Lewis (Hamilton) involved, and if they are good then also Nico (Rosberg) has a chance. "You can't forget Jenson (Button), although I doubt McLaren will be right at the front. It will be an exciting year."